As a country girl from North Louisiana, I love being in areas that remind me of home…..for now anyways. However, Aubrey, gives me North Louisiana vibes. You have nature at its best. Quiet scenery with city amenities nearby. I call it the best of both worlds. So when I discover a community that gives that vibe, I have to explore it. If you didn’t know, Aubrey is horse capital. It is still fairly rural but growing quickly. However, you’ll see that new communities are still harvesting what Aubrey is known for. The area will grow to be another suburban town but very well keep its horse capital, rural flair (at least I hope it does). The developers at Sandbrock Ranch are keeping that mission alive. In this community, the neighborhood will certainly have its ranch moments. 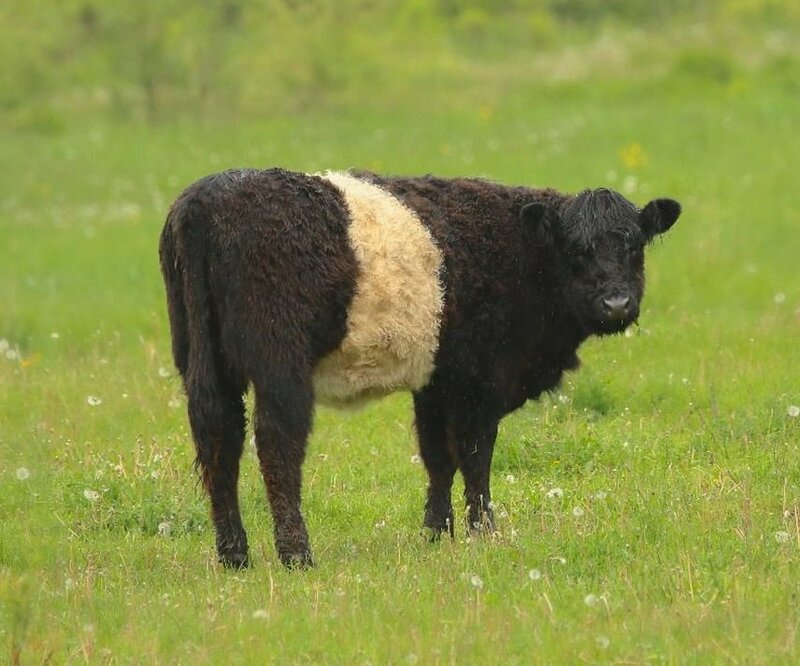 In fact, the neighborhood has it’s own cows considered to be “milk cows” that are stripped white in the middle and black on the rest of its body. Horses roam within the neighborhood too. This place is open for residents 7 days a week from 7am-10pm. Kitchen area of the Carriage House. Two lakes that connect to each other called Sadie and Gurthie! Neighborhood Fitness center available from 4am-11pm. Pocket park playground for the kids. There are still even more things to come to this amenity center such as the rec space (sports fields), event amphitheater, and more. The neighborhood will also have a future Denton ISD elementary school in the community. If this is a community you can see yourself living in, find your next home at move-updallas.com. Homes in the community start in the mid-200s. Builders in the neighborhood are David Weekley Homes, Highland Homes, and Perry Homes. Highland Homes has three products in the community (45 foot lot homes, 50 foot lot homes, and 60 foot lot homes). 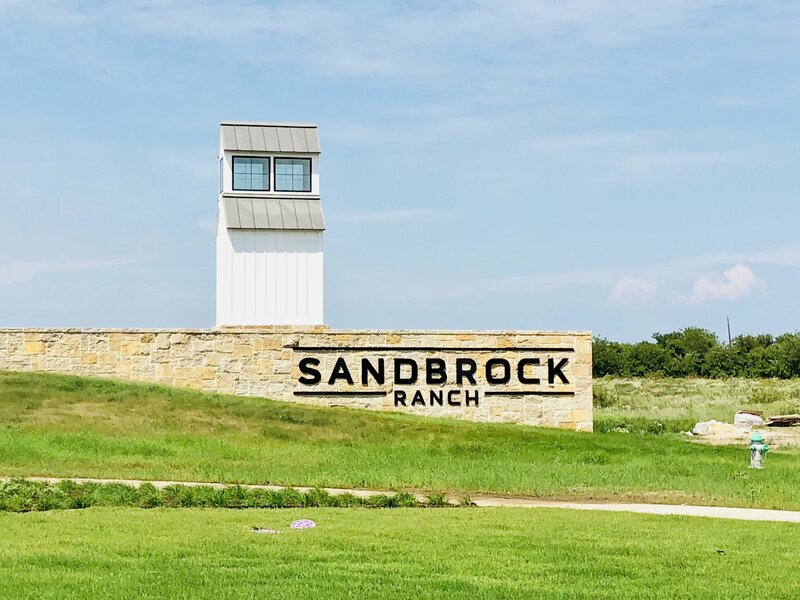 Let New Avenue Realty Group help you find your home in Sandbrock Ranch. Connect with us through via phone or email at 972-813-9788 or atfowler@newavenuerealty.com. We can start with your own private tour with a New Home Specialist concierge service with New Avenue Realty. Complete the form below to start your visit with us. ← How to Put Your Housing Cost to Work for You!